As a competitive or even a recreational athlete, the nutrients you put in your body are vital for optimal performance. Milk does a body good, right? But what type of milk is the best? 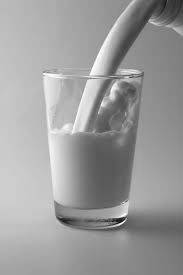 There are fat free, low fat and whole versions of dairy milk, soy milk, as well as sweetened and unsweetened almond milk. Every type has something different to contribute in terms of nutrition. Reading the nutrition facts can help you find out which is best for you. First let’s get the skinny on almond milk. It wasn’t until last week when I finally picked up my first box of almond milk. I read the nutrition facts in the middle of the grocery store’s aisle and what I found was surprising. When I hear “milk” I think protein, however almond milk only has 1 gram per serving. This is significantly less than the 6-8 grams per serving cow and soy milk both have. Almond milk is made from soaking dry almonds, and grinding them with water. Almond milk contains high levels of Vitamin E, antioxidants, and is also low in calories. Almond milk comes in sweetened and unsweetened versions so it is important to once again read the nutrition label to know what you are purchasing. In fact, chocolate almond milk can contain up to 21 grams of sugar in a single serving. Soy Milk is a drink made from soybeans, and is produced by soaking dry soybeans and grinding them with water. Soy milk has become a popular alternative to dairy milk, especially for individuals who are lactose intolerant and/or vegan. Original Silk® soy milk contains 6g of protein -- slightly less than a cup of Dairy milk (8g), and much more than a cup of almond milk (1g). One drawback to soy milk consumption is that unfortified soy milk lacks the important quantities of Vitamin D and Calcium that are found in Dairy milk. Fortunately, many Silk® soy milk products, as well as other brands, are fortified with these nutrients to provide a more nutritionally complete product. Two more advantages to soy milk are that it contains very low levels of saturated fat and is cholesterol-free, both disadvantages of Dairy milk, given that it is an animal by-product. Dairy milk, or what most people call “milk”, is produced from the mammary glands of cows. Dairy milk offers high levels of protein and vitamins, and comes in differing fat contents giving variety to the consumer. Thus depending on if an athlete is looking to gain, lose or maintain their weight, he or she have a variety of option to choose the right Dairy milk type for their goals. "When I finish a workout, sometimes I opt for tall glass of fat-free milk. It provides that blend of sugar and protein your muscles crave." Those proteins and sugars are precisely what the body needs for recovery and to promote fast muscle regeneration. Soy milk presents many of the same vitamins and minerals as Dairy milk, and leads non-dairy milks in terms of protein. Almond milk assists athletes in consuming heart healthy polyunsaturated fats, antioxidants, and Vitamin E, but not as much in helping in the muscle recovery process. Pros: High in vitamin E, low in calories, great for lactose intolerant individuals and those trying limit their caloric intake. Cons: Low in protein (1g per serving), high sugar contents in flavored types, people with nut allergies cannot consume. Pros: Most protein content of non-dairy milks (6g per serving), cholesterol free, low saturated fat. Cons: Low calcium and vitamin D unless fortified. Pros: Highest protein content, high calcium and vitamin D.
Cons: Naturally contains cholesterol and saturated fat. Every athlete has his or her own specific nutritional needs. It is important to determine what is best for you by informing yourself. Complement your hard work at practice with an active approach toward athletic nutrition, and be one step closer to your dream. Now go grab a glass of milk and drink up!